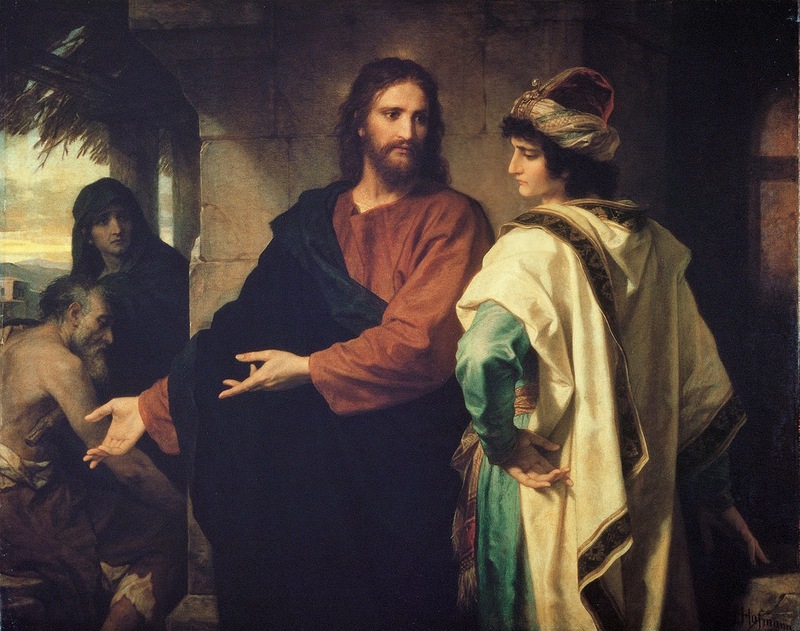 The story of Jesus: culturally relevant? This post continues an exploration of Deep Church Rising by Andrew G. Walker and Robin A. Parry. For other posts in the series, click a number: 1, 2, 3, 4, 6, 7, 8, 9. Last time we noted that the ancient apostolic tradition (also called the "rule of faith") of the church emphasizes the story of Jesus as told in Scripture and established in the four great Ecumenical Creeds. When the church has moved away from this focus, it has lost its "gospel-grounded identity" (p. 82). This has led to what Walker and Parry refer to as the "third schism" -- a divide within the church that continues to diminish its health in our day. Why this move away from the orthodox telling of the story of Jesus? Largely because of a desire to relate Christianity to the contemporary culture. Though this motive may have been admirable, when unchecked by the ancient rule of faith, it led to deemphasizing, if not entirely abandoning, key tenets of the apostolic faith, including the Trinity, the Incarnation, the virgin birth and the bodily resurrection of Jesus -- doctrines that, to one degree or another, seemed "illogical and unreasonable" to modern sensibilities (p. 83). In the view of the authors, this departure from the apostolic tradition has led to churches that are more religious philosophies than real encounters with the living God-man, Jesus Christ. Nevertheless, some argue that the church should have the liberty to adapt the the story of Jesus to contemporary culture. But against this viewpoint, Walker and Parry argue that "the early church fought hard to maintain a positive embracing" of the rule of faith and so should we. They also note that early Christians "always claimed that Jesus is absolutely unique -- he alone is God incarnate and it is through him alone that salvation comes to creation" (p.89). Thus the story of Jesus, as told by the apostles and other early church fathers, is non-negotiable and must not be re-written. Christian orthodoxy has always understood its beliefs about God and Jesus to open us up to both the truth and the mystery of God. Its claims about the Trinity and the incarnation have always been taken as telling us something fundamental and true -- albeit simultaneously beyond our rational comprehension -- about what God is in Godself (p. 91). A prime example of this coupling of truth with mystery is the doctrine concerning the dual nature of Jesus, which is grounded in what Jesus revealed concerning himself, and what the apostles personally experienced in Jesus' presence, then set down in their writings (John's Gospel and epistles, in particular). 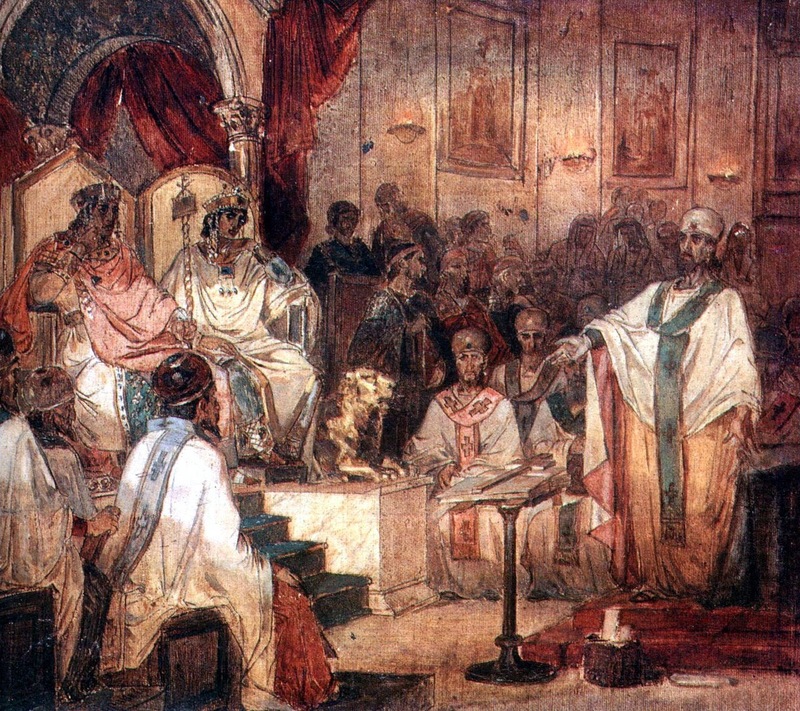 This doctrine was further defined (and defended) at the first four great Ecumenical Councils: Nicaea (325), Constantinople (380), Ephesus (431) and in even greater detail at Chalcedon (451). Rather than an innovation of the time, the Chalcedonian Statement was "the fruit of four centuries of Christian experience and reflection." Its aim was "to hold together the full divinity and full humanity of the one person of Christ" (p. 92) as revealed to us in the story of Jesus. The church...claimed that if Jesus is to be the savior, the one through whom God reconciles the world to himself, he has to be both fully human (to save us) and divine (to represent God before us). This claim is spelled out in different ways by different thinkers depending on how salvation was pictured but the common core was that only God can save us and for Jesus to save us he had to be more than a Spirit-filled man. The orthodox Jesus is Emmanuel -- God himself with us (p. 96). Though seeking to make Christianity culturally relevant is "a worthy endeavor," it is one that comes with significant "inherent risks" (p. 97). A primary area of risk has to do with the right worship of the church. We'll examine that important topic next time.